Please check out our online video! 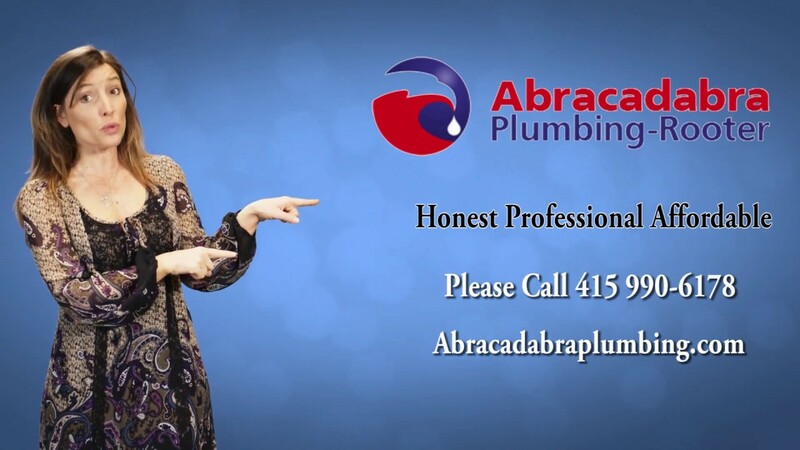 Abracadabra Plumbing is here to help you with all of your plumbing needs. Do you have a blocked toilet, bathtub, shower, sink, or floor drain? give us a call, we are ready to serve you in San Rafael CA and the surrounding areas. When you contact Abracadabra Plumbing for water heater repair or replacement, you can expect unparalleled service from skilled, licensed, and bonded plumbing technicians. 'Abracadabra Plumbing was professional and courteous. The owner, Pablo, took the time to come to my house, looked at the at the situation, and gave me an estimate right on the spot. In the end, they gave me the best price and I'm 100% happy with their work."